Sports fans will be spoilt for choice in southern Queensland this weekend with four blockbuster footy games headed by the Wallabies v All Blacks clash requiring extra public transport. Queensland Transport Minister Annastacia Palaszczuk says anyone with a pre-purchased ticket can travel to and from the big games for free on selected TransLink train and bus services. "To make it easy to catch public transport we're adding an extra 544 buses and 48 more train services across the weekend to the blockbuster games," Palaszczuk says. TransLink Acting CEO Matt Longland advised patrons to plan ahead with this weekend’s travel. "Big games often have many pre-match activities and events included as part of the ticket," he says. "With so many massive games on over the weekend, play it smart and plan ahead." Pre-purchased ticket holders can catch free public transport to and from the game on the following services. For the Australian Barbarians v Canada match at Skilled Park on the Gold Coast this Friday night, Queensland Rail trains and Surfside buses will run from 3.30pm until 1.30am. 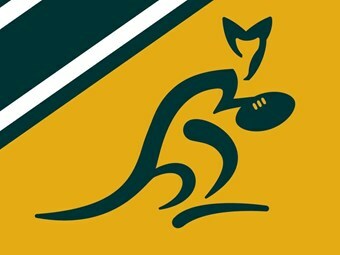 The Bledisloe Cup blockbuster on Saturday at 8pm will see trains and Brisbane Transport buses run from midday until the last regular service on Saturday night. For this Suncorp Stadium clash, event shuttle buses will operate at regular intervals between Adelaide and Makerston Streets in the City, Waterworks Road in The Gap, Carindale, Chermside and Eight Mile Plains busway station and the stadium grounds from 5.30pm to 8pm and for one hour after the game. Aussie rules at the Gabba sees the Brisbane Lions take on the West Coast Eagles at 7.10pm also on Saturday night. Queensland Rail trains and Brisbane Transport buses will run from 3pm until the 2am on Saturday night. If you don’t have a ticket to the sold out clash between the Brisbane Broncos and Manly on September 4, you can see Broncos captain Darren Lockyer in action this Sunday teaming up against South Sydney at Suncorp Stadium. The match ticket will gain access to buses from 9am until the last service on Sunday for the afternoon game. Event shuttle buses to Suncorp Stadium will operate at regular intervals between Adelaide and Makerston Streets in the City, Waterworks Road in The Gap, and Carindale, Chermside and Eight Mile Plains busway station and the grounds from 1pm to 3pm and for one hour after the game.